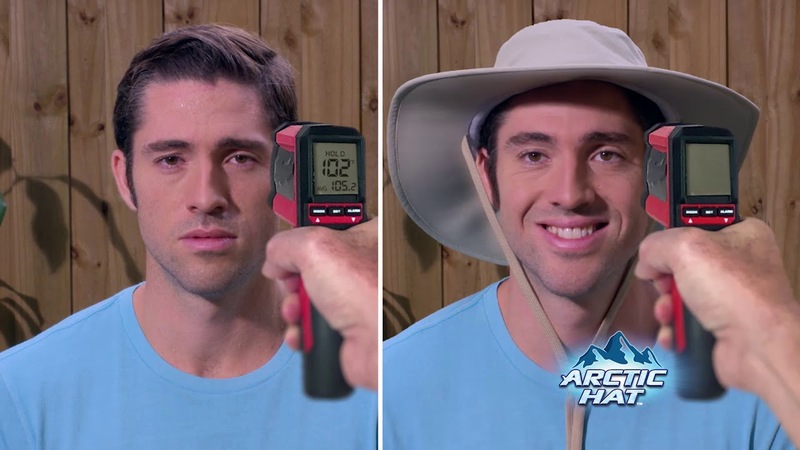 The Amazing EVAPORATIVE COOLING HAT With UV Protection! Arctic Hat™ is the new hat that combines controlled evaporative cooling and UV protection from the sun's visible and invisible rays. Arctic Hat™ evaporative cooling inner liner retains cool water and slowly evaporates to keep your head up to 20°F cooler. Simply wet the inner lining and put on the hat! Get instant relief from the heat and stay cool for hours. Arctic Hat™ also has a built-in radiant barrier to deflect and block 99% of the sun's harmful UV rays and reflects 80% of the sun's heat. Arctic Hat™ is made from durable, breathable and lightweight construction. The same technology is used by professional athletes, the US military and emergency services. Best of all, Arctic Hat™ is adjustable, so one size fits most! Perfect for the entire family!